A simple, delicious, and different take on the classic baked potato. My husband said it was the best thing he's ever eaten...and he's spoiled so that's saying a lot. Preheat oven to 475 degrees. Pierce potatoes all over with a fork. Rub potatoes with olive oil, place on baking sheet. Sprinkle with salt and bake for about an hour until tender. 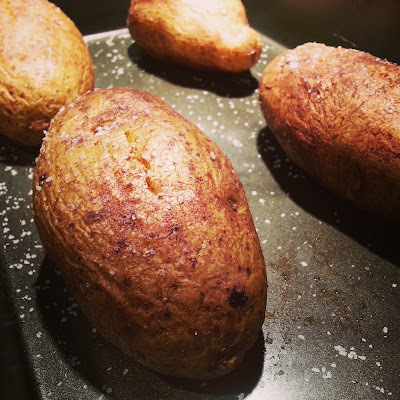 Once the potatoes are done, remove from oven. 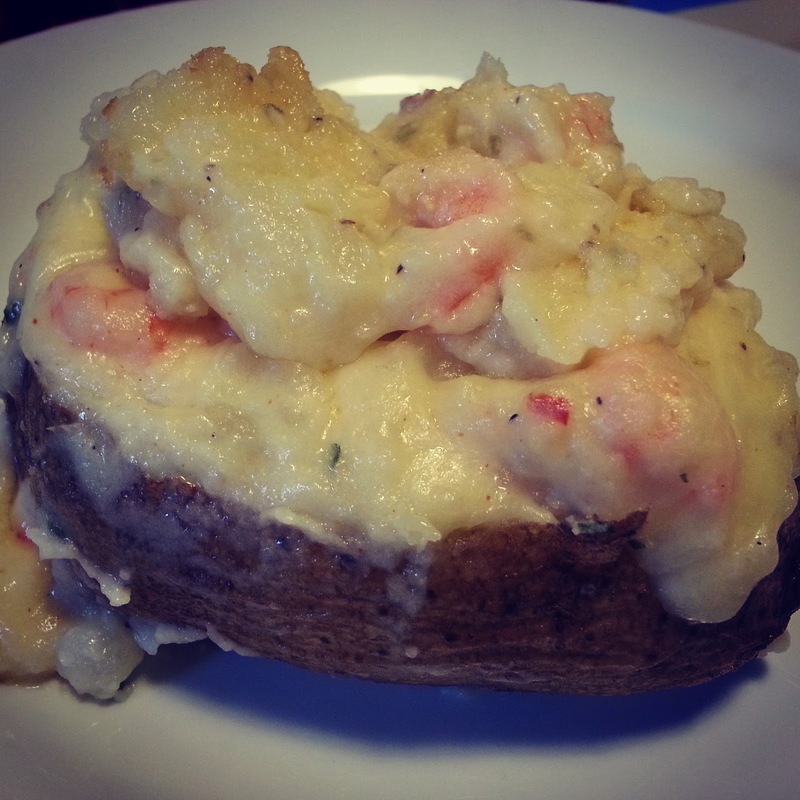 Turn oven down to 350 degrees and let the potatoes cool slightly while you saute the shrimp. While the potatoes are cooling, melt the stick of butter in a saute pan. 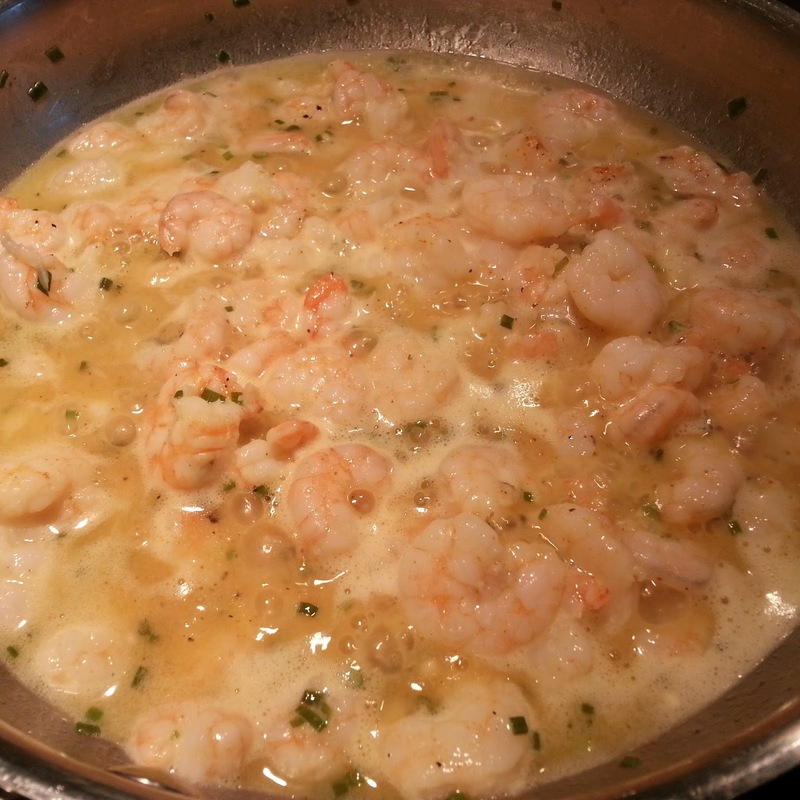 Add the shrimp, garlic, chives, Cajun seasoning, salt and pepper. Saute until the shrimp are done, 3-5 minutes. Set aside. 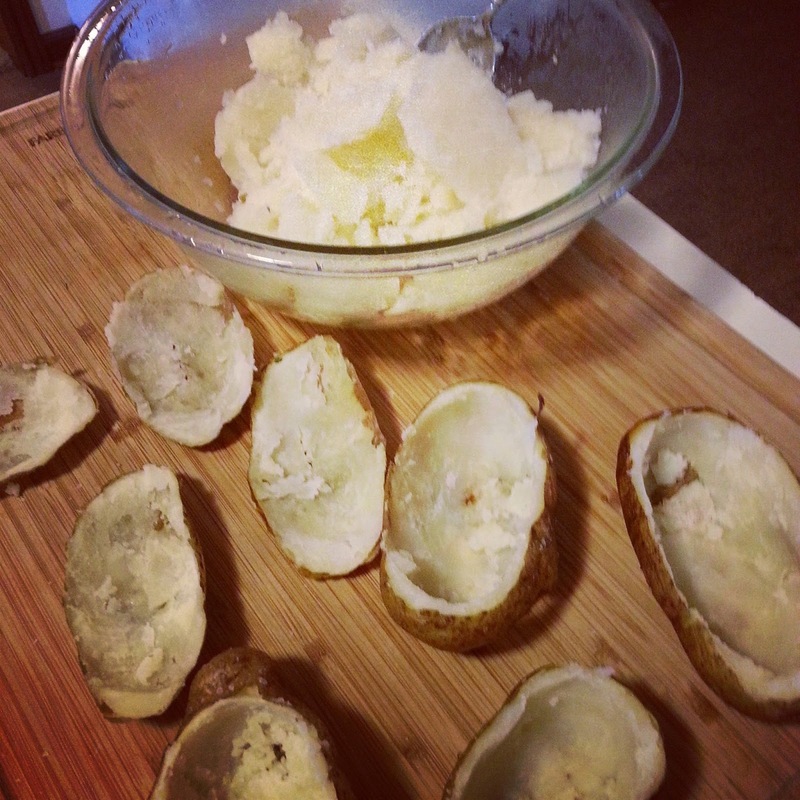 Cut the tops of the potatoes off and scoop out the flesh into a bowl, leaving about 1/4 inch of potato in the skin. Set potato shells onto the baking sheet. 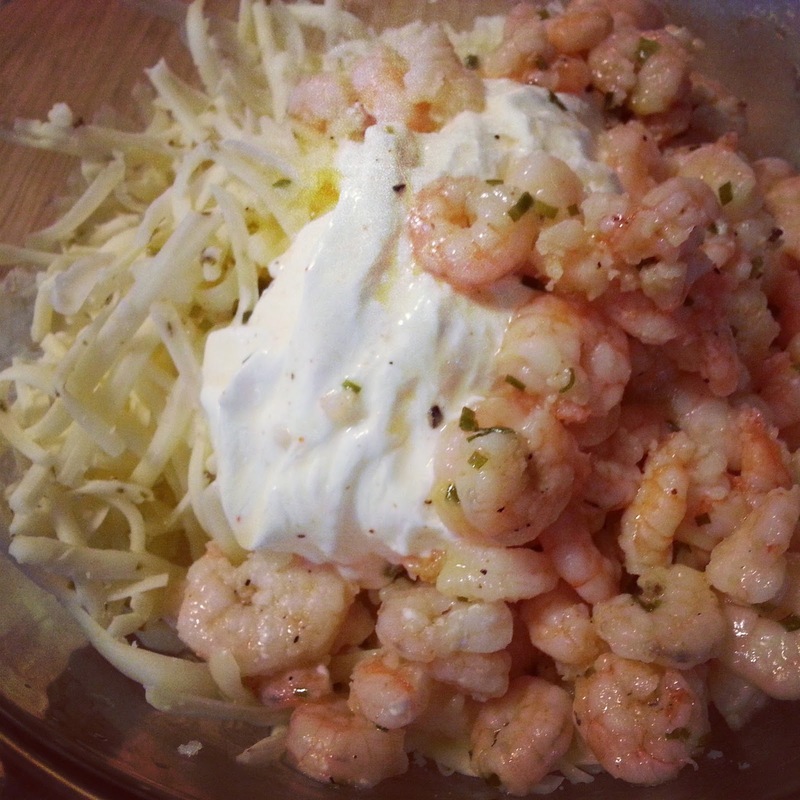 To the bowl of potatoes, add the shrimp and all the butter sauce from the pan, the cheese, and sour cream. Mix well. Stuff each potato shell with the shrimp/potato mixture. 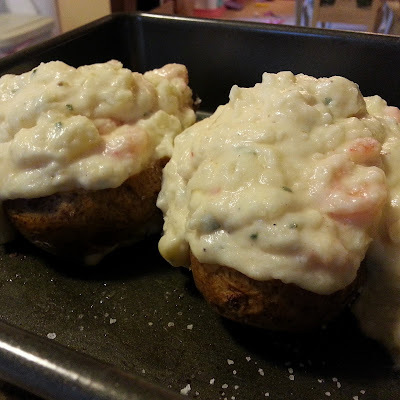 You can pile any extra filling on top of each potato. Bake at 350 degrees for 20-25 minutes until it begins to brown on top. Serve with fresh steamed corn for a complete meal! I think these would freeze fine! Just put them on a baking sheet and freeze. Once frozen, wrap each one in tinfoil and put them back in the freezer. Then just thaw and reheat when you want them.